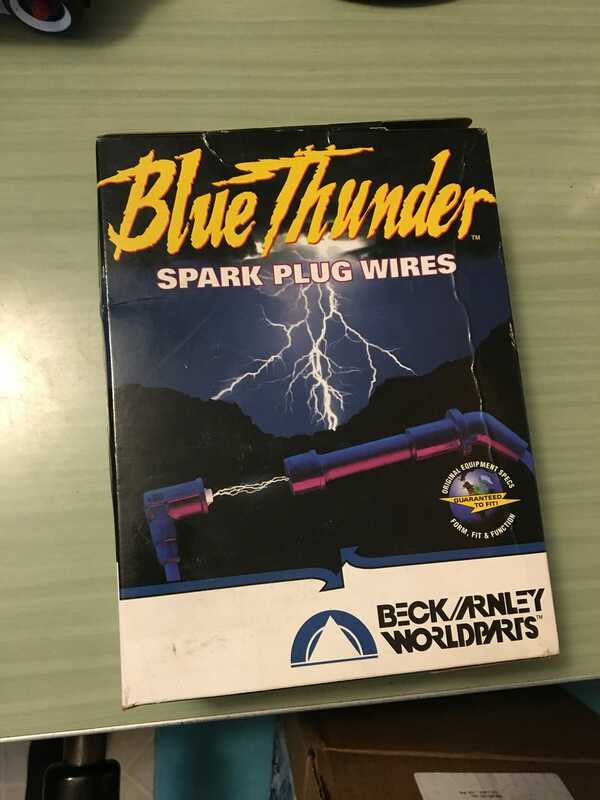 The plug wires on the Raider started to pull apart when I had to remove them to remove the valve cover, so I ordered a new “premium” Beck Arnley set from RockAuto. Cheap because wholesaler closeout, so I was expecting old, but this box was still an entertaining surprise. Behold, my lazy but functional wire routing.